Luxury brands have been historically slow to embrace e-commerce. But in recent years, high-end retail sites like Net-a-Porter and Yoox and discount luxury flash sales like those on Gilt Groupe and Rue La La are forcing execs to rethink the benefits of online sales. Bain & Co. estimates that the $4.9 billion online luxury market grew by 20% last year. Richemont, which owns luxury names like Cartier, Van Cleef & Arpels, Montblanc, and Jaeger-LeCoultre—and has a 33% stake in Net-a-Porter—announced its offer today to buy the remaining 66% of the company, with founder Natalie Massenet remaining as the executive chairman. Richemont made the offer valuing Net-a-Porter at $534 million. With the acquisition of a successful luxury e-tailer–Net-a-Porter saw sales of $183 million last year–Richemont is clearly making a commitment to boosting its presence in the online luxury space. Just last month, Cartier launched its U.S. transactional site. Being available online is no longer a stigma to luxury brands, and things like holograms allow them to help consumers identify authorized resellers online. High-end designers like Narcisco Rodriguez and Norma Kamali have even created exclusive collections for EBay. 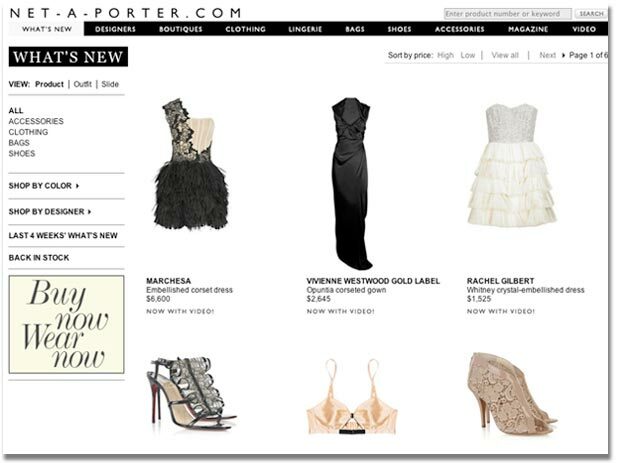 Now the question is whether the labels carried by Net-a-Porter will mind that the site is owned by a competing luxury house.